This post examines alternative form-based interfaces for interacting with SharePoint lists and workflows. One way people have used InfoPath is to create forms for users to interact with SharePoint data in a browser. In fact, judging by the content of online community discussions, the SharePoint community tends to treat this as the primary purpose for using InfoPath. Interestingly this was not InfoPath’s original purpose at all. InfoPath 2003 was designed for use with its own filler application, not with browser forms. Over time, however, InfoPath was pulled into this new role as SharePoint’s form-design tool. Let’s take a closer look at the available alternatives for each of these scenarios. 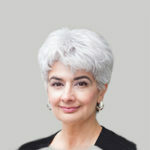 SharePoint lists have their own native interface, but users often want more. Starting with InfoPath 2007, SharePoint has allowed people to create a better browser interface using InfoPath forms. Meanwhile, a large number of options have been developed for interfacing with lists and data in SharePoint. There are probably other options as well if your only requirement is to create forms that connect to data in SharePoint lists. But SharePoint lists are not too useful in a vacuum, and the forms that connect to them are often part of business processes that include automated workflows. So let’s focus on the shorter list of options for forms connected to workflows. InfoPath first began to be used as the integrated tool for designing SharePoint workflow forms in its 2007 edition. That role was exclusive to InfoPath until SharePoint 2013 introduced a new workflow manager that doesn’t use InfoPath for its forms. This new SharePoint 2013 workflow manager represents one of the alternatives to using InfoPath for this purpose. Meanwhile, 3rd-party workflow solutions have been developed that seek to extend, supplement or replace SharePoint workflows and InfoPath forms. Nintex built a workflow platform on top of SharePoint workflows, and also developed its own form-design tool in a browser to go with it. K2 created a server-based workflow platform separate from SharePoint workflows and has its own form-design tool for the browser as well. 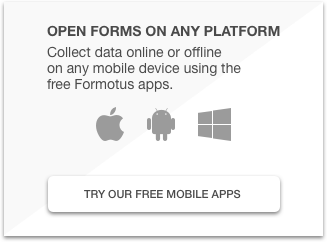 Formotus used InfoPath for form design and created mobile client app technology for filling mobile workflow forms that can be routed to users without any server-side rules. How to make sense of these options? One way to look at the options available is on a grid like the one above, which plots powerful workflows against powerful forms. Nintex and K2 both offer powerful server-based workflow systems to which they have added support for basic forms technology. On the other hand, Formotus offers highly sophisticated forms technology and a unique device-based workflow capability that operates independently of any server-based workflows. It’s important to note that these alternatives are not mutually exclusive. Some Formotus customers also use Nintex or K2 for their workflow needs. If your needs are primarily for complex manipulation of workflows on servers, look first to K2 or Nintex. 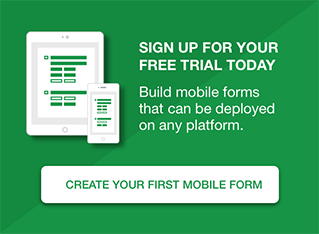 You can always add Formotus later if you need more powerful forms than either K2 or Nintex offer. If your needs are primarily for powerful InfoPath-like forms (with repeating tables, views, rules, data connections, photos, signatures, offline capable, etc. ), then start with Formotus. You can add K2 or Nintex later if your workflows require something more complex than Formotus and SharePoint combined can offer.